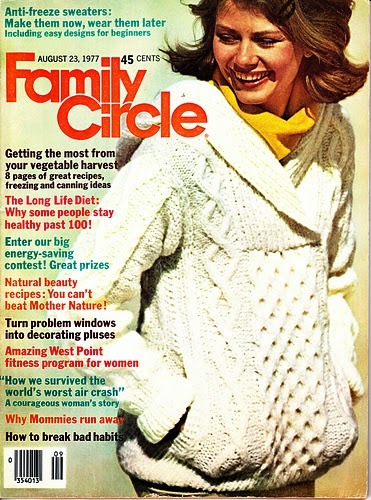 Kelly talks about the Family Circle Cabled, Hooded Sweater that Aunt Betty made for her in 1977. Complicated cables, full-length sleeves and an enormous 1x1 rib hood all done between Thanksgiving and Christmas really spell love! Also, can you believe that the pattern information can be found online and that there are current project pages for this sweater in Ravelry? So cool! 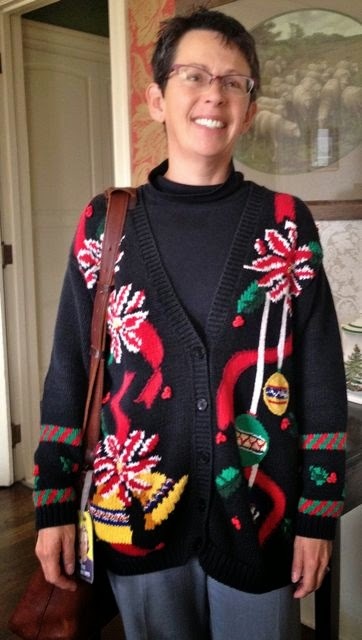 Kelly also talks about her cherished Christmas Sweaters. 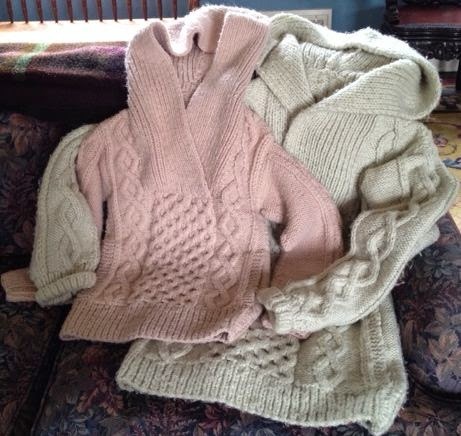 These are hand-knit, but they are commercially hand-knit, rather than made for her by a relative. Back in 1988 she and her husband were just starting out and didn't have a lot. The idea of an expensive sweater that could only be worn one month out of the year seemed like total luxury. To have two of them--unimaginable extravagance! 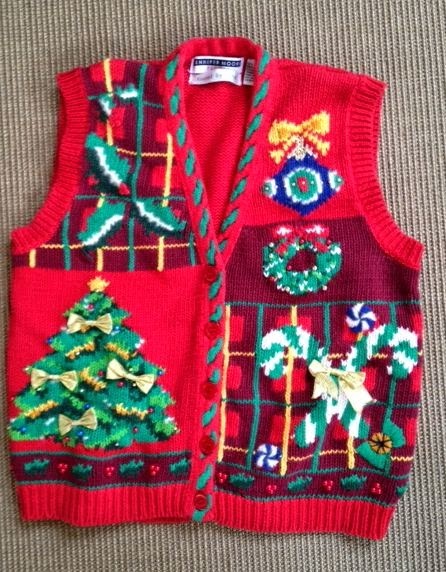 One is a cardigan and the other is a button-front vest. Although the rest of the world may call them "Ugly Christmas Sweaters," and make fun of them, Kelly will continue to wear hers proudly! In fact, she believes hers to be a highlight of her holiday wardrobe--well made, timelessly designed, and still fashion-forward! Proof that I wear these, here I am on my way to work last year! Beads, bows, glitter, and some fuzzy angora yarn, too! Marsha reminisces about the sweater her mother made for her when she was in college. She also talks about her first knitting project ever, a sweater she made for herself. 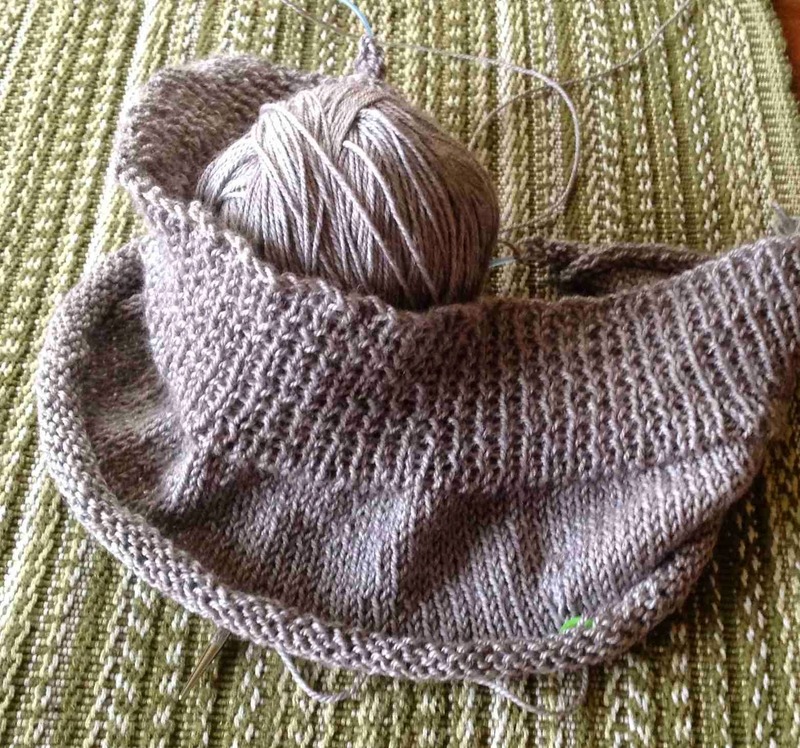 She discusses her second project, a sweater for her father, and why she cannot part with it. 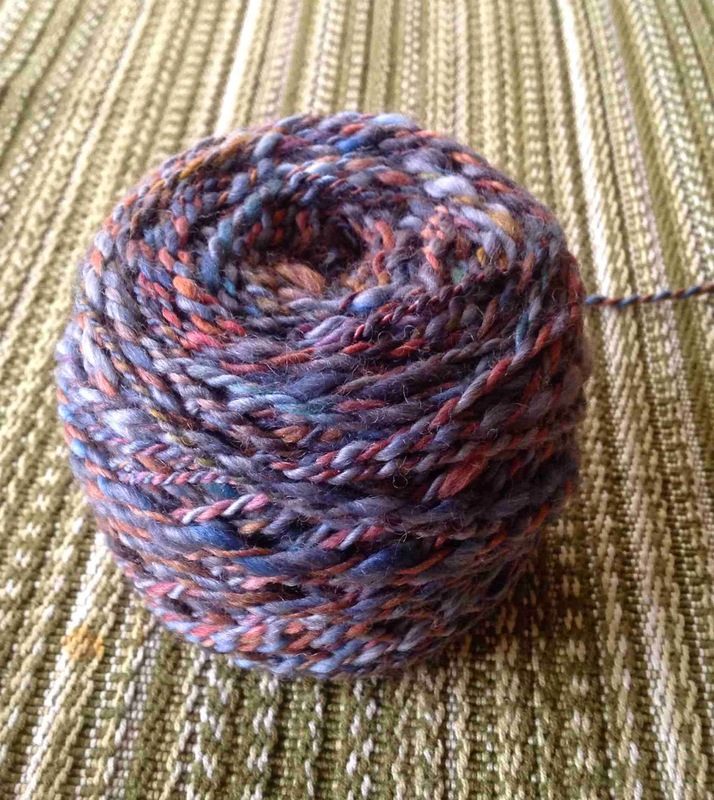 She plans to repurpose the yarn and make an afghan called Garter Squish by Stephen West. 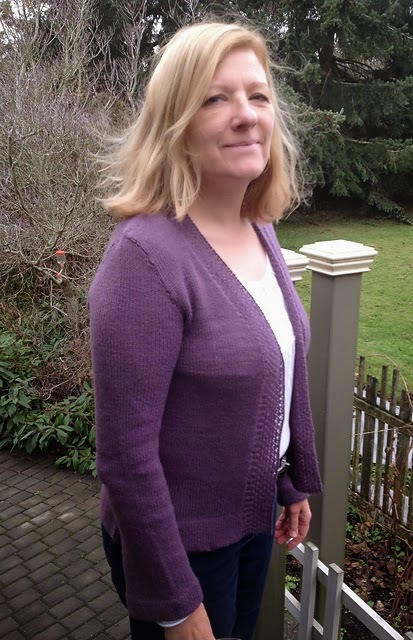 Marsha talks about finishing her St. John Cardigan and planning her for her next project, Hannah Fettig's Featherweight Cardigan but using the Amy Herzog Custom Fit version of the sweater. The St. John Cardigan is finished. In Episode 6 Marsha talked about her excitement of getting her first spinning wheel, a Lil' Herbie. In this episode she talks about the fun she has been having playing with Herbie. She talks about experimenting with dyeing the finished yarn and dyeing rovings. 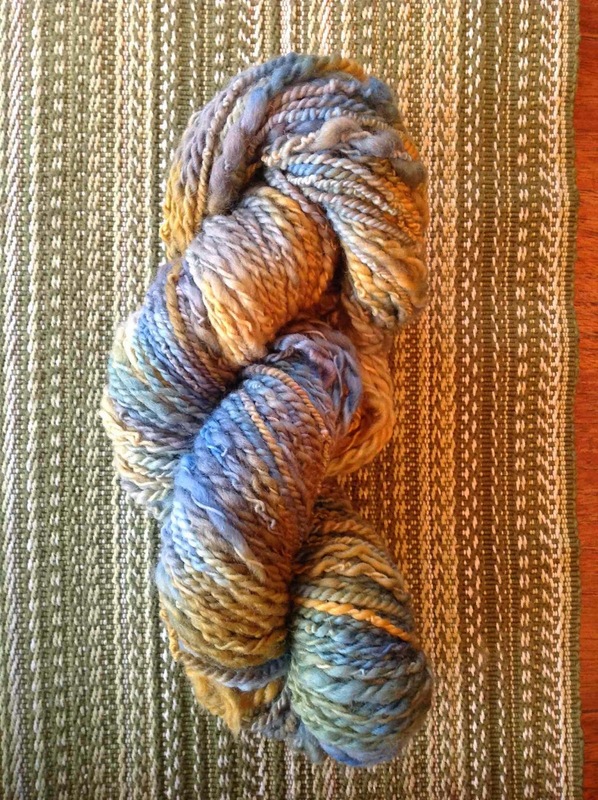 She spun the dyed roving after recording but has included pictures here. Check out her Ravelry page for more pics of the process. The Two Ewes are having an Instagram Contest! Take a photo of your knitted or crocheted memories and use the hashtag #knittedmemories. You needn't be a group member to win, but we'd love to have you in the Two Ewes Ravelry group. Photos will be selected at random from the hashtagged photos and prizes will be awarded in mid-January. Join in the fun!